Some people are unhappy that smartwatches need the support of smartphones to do anything interesting. Those people would prefer if smartwatches could do at it alone – according to The Korea Herald, Samsung will make just such a watch, dubbed Samsung Gear Solo. Samsung has filed a patent with the Korean Intellectual Property Office for the Gear Solo name, but that name might change before the smartwatch hits the market. The Gear Solo will pack a SIM card for independent mobile connectivity – both data and voice. The device will initially be available for SK Telecom, which is developing the watch alongside with Samsung, but a worldwide rollout shouldn’t be ruled out. 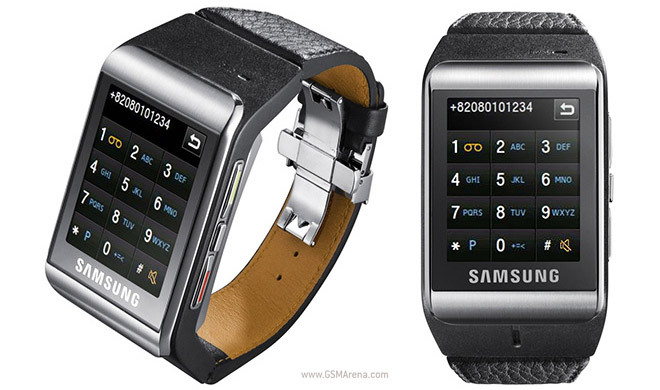 Samsung has a watch phone before there was such a thing as “smartwatches” back in 2009. That one used a relatively large miniSIMs (compared to today’s nanoSIMs) and ran an unnamed proprietary OS. Speaking of which, it’s not clear what Samsung will do with the Gear OS now that Android Wear is official – the company just dropped Android in favor of its own Tizen OS. Note: the device pictured above is the Samsung S9110, not the Gear Solo.